1) RCAHMS Argyll Vol 5, No 366 (15). Tapered slab with galley at foot. Long mast but with no yard or sail. See also Graham, Carved Stones of Islay, p 56 & Pl. XIV, No 44. This stone is unusual in that the galley and the sword (which occupies most of the slab) are at 180 degrees to each other. Was there a change in design while the slab was being cut? I wonder if the galley at the base was originally the top of the stone. 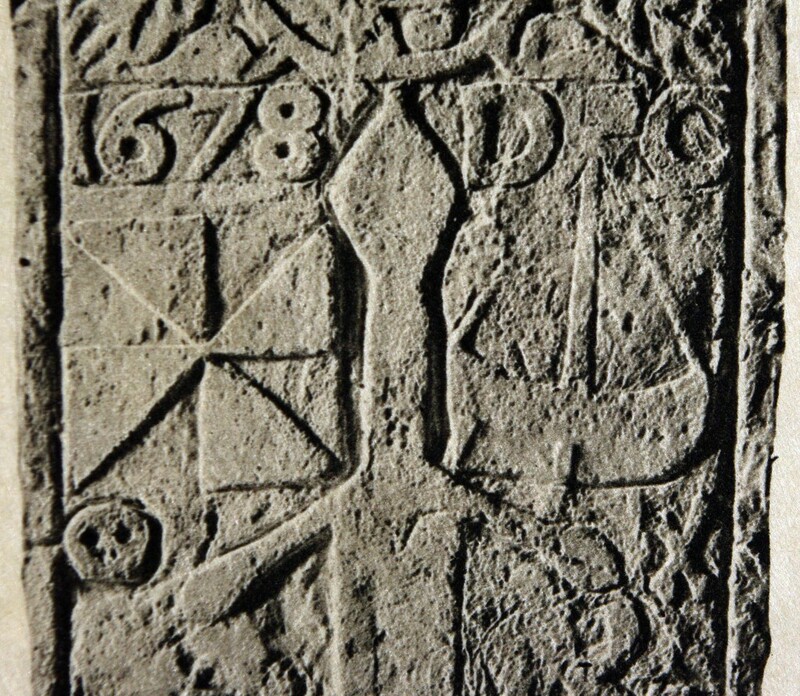 RCAHMS thinks the same sculptor produced a slab at Keils, Jura (Argyll Vol 5, No 331 (2)). 2) RCAHMS Argyll Vol 5, No 366 (16). Tapered slab showing hull of a boat. See also Graham, Carved Stones of Islay, No 45 – but he provides no illustration. Graham, Carved Stones of Islay, Pl. 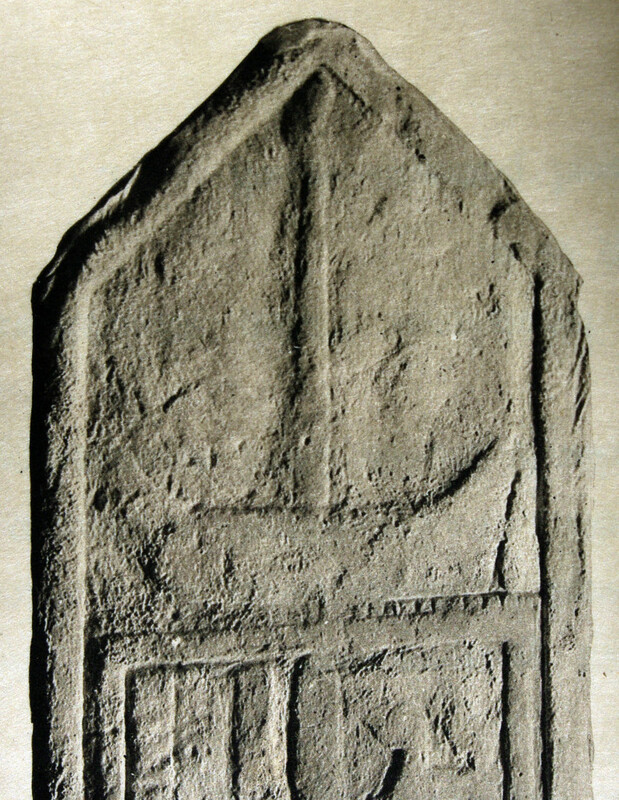 XIV No 40, illustrates another stone which was partly recut in 1678. There is a small galley to the right of the sword hilt.